Ubiquitous Internet-connected devices are great — unless you’re a parent, trying to pry kids’ eyes away from Clash of Clans and toward homework or the dinner table. It’s a novel problem, and WebCurfew, a startup just launched out of Chicago accelerator Techstars, aims to fix it by going straight to the source: The home router. Da Silva’s software, available in free and paid versions, layers a user-friendly menu over the options provided by “hundreds” of supported routers, he said. The users — presumably, parents — use the menu to pick and choose devices that can continue to receive a Wi-Fi signal. So, if it’s bedtime and Mom still needs to be on her PC, but Dad’s worried about Junior smuggling an iPad into bed, a switch on the Web menu will block the signal from reaching the verboten tech, as though the Wi-Fi network were down for just that device. And da Silva said that, in the near future, a feature will allow the router’s owners to receive an email when a new device joins the network, and then block its connectivity if desired, or to automatically block any new device that joins the network and hasn’t been white-listed. To work with the service, routers must first be set to an off-by-default “remote management” mode, but WebCurfew offers short video tutorials showing how to turn that mode on for all of its supported routers. 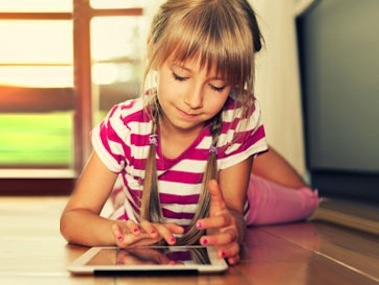 Da Silva said the big problem area for parents of girls is Facebook, while parents of boys have to compete primarily with Web-connected games. He advised that users of WebCurfew do so as part of a broader lesson about time management, rather than by covertly cutting off Wi-Fi access and hoping the kids don’t notice or complain. The free version of WebCurfew requires users to manually control each device’s ability to connect, while the $5-a-month paid version allows them to set a timer for turning that access on and off. Da Silva said that 30 percent of his users pay for the service, and 80 percent use it every day. This isn’t a review, but when I tried to connect WebCurfew to my home router, which was provided by my ISP, Comcast, my exact model wasn’t supported, and I was unable to test the service for myself. However, the site is barely a month old, and it petitions potential users for their help as it expands its compatibility list.